Traffic is the most important factor that decides the success of a blog and earnings. Blog traffic can be from various sources; like search engines, forums, related blogs and web 2.0 social networking sites. As a reader of Techknowl, you might have learned some of the traffic building methods that we had discussed earlier. Here I have arranged all those methods together to form a quick reference guide of blog traffic. Read it and leave your thoughts in the comment section. 1. Write high quality articles: Articles should be organized with the suitable number of paragraphs and points for easy navigation. Use word processing software for avoiding grammatical or spelling mistakes. Write on a comparatively new subject, providing proper assistance trough screenshots and images. Keeping the quality and authenticity of the article is the key factor for driving search engine traffic to a blog. 2. Increase post count: More Number articles normally bring more traffic. And be consistent in your post rate . 3. Organize your blog: Categorize blog archives and provide easy navigation to all parts. Using read more tag and related posts widget can improve your internal blog traffic and page views to a great extend. 4. Provide email subscription: Provide email subscription of your feed by Feedbrner, Feedblitz or related services. They are a good source of returning traffic. Place the subscription form in such a way that your visitors end up their session with subscribing email updates. 6. Know your readers: Pay attention to user comments and try to respond to their questions and suggestions. Let your visitors know you by providing author and contact information’s. 5. Participate in forums: Active participation in top notch webmaster and related forums is yet another traffic building method. These forums provide a signature link option that drives real webmasters into your blog. Forum users are interested in self-education and connecting with like-minded people, seeking help, advice, opinions etc. Apart from traffic, they provide a number backlinks, reputation and chances of link bait. 6. Submit to Technorati and blog directories: Submit your blog to Technorati blog search engine and other major blog directories. Technorati authority determines your popularity in blogosphere. 7. Socialize through web 2.0: Google for a list social networking and bookmarking websites. Create profiles and invite your online friends. Submit your content, rate and comment on others submissions. This method can bring a large amount of blog traffic if you are smart enough to touch the top pages. 8. Blog Commenting: Blog commenting is a free and quite effective method to bring a huge amount visitors to your website. Your comments should be on related blogs, for quality traffic and advantage in search engines. Be the top commentator or first one to comment on new post s, which even gets attention from blog author. 9. Turn on dofollow: Turn your comments dofollow and submit to any dofollow search engine. 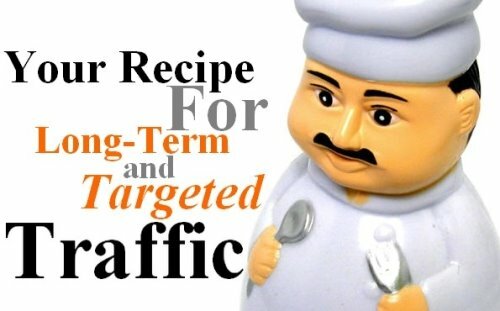 This technique can bring lot of traffic and comments on your blog. But keep in mind to enable comment moderation to avoid spammers. 10 .Periodic blog contests: Run periodic blog contests and promote them through your network of online friends and social sites. Depending on your contest, you will get traffic, backlinks and Technorati authority. 11. Power up with videos: Assist your blog posts with videos and submit them to YouTube, MetaCafe and other video sharing websites. Remember to tag tour videos correctly and to promote them. 12. Traffic from widgets: Use traffic sharing blog widgets those displays related content over the web. 13. Advertising campaign: PPC advertisement will bring targeted quality traffic you your blog. Conversion rate is very high with Google and Yahoo advertising networks. But this method is expensive and it is recommended only when you have some products to promote. 14. Build products and build traffic: This is a method is for you if you’re creative. Build your online application widgets, themes, templates etc. and place a link to your homepage. Products on long term run would bring more traffic, backlinks and authority among other bloggers. 15. Focus on search engine optimization: As most of today’s web traffic comes from search engines, blogs should be well formatted to match the guidelines provided by them. Search engine optimization (seo) can be called as collection of methods for making our page popular and friendly with these search engines. Features include link building, post page formatting, template code optimization etc. 16. Guest blogging: Find out related blogs in your niche, offering guest blogging. Selection of blogs should be done on the basis of Google PageRank, traffic and subscriber count. Get know more about their style of writing and submit an article on the prescribed format. Accepted articles could bring you enormous traffic and probably an increase in subscriber count. 17. Article writing: Write articles on article directories and services like Squidoo.com and Hubpages.com. Some of them follow revenue sharing among members. So apart from being a source traffic and backlinks, they are also an alternate stream of Internet income. 18. Check out trends: Look out for the most searched topics in Google trends, in accordance with your niche and be the first one to post an article based on a hot topic. 19. Analyze your traffic: Finally, analyze your site traffic on all perspectives. The user demographics, page views, time spend and most viewed pages etc. can be calculated using online tools like Google analytics, Alexa, Sitemeter, Compete etc. Outcome of these analyzes’ could be used for further development of blog traffic. Do you have any other tips improve blog traffic ?? Please share them here. Very HElpful information given in this your ” How to improve blog traffic ” topic. 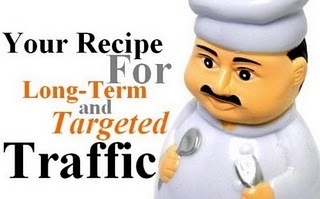 Build traffic is really not that tough, and top of all, you can build traffic or attract more traffic for free. Build traffic is a extremely individual skill and is different with each client. Step 4 for email subscription I feel like this has become very neutralized with spam filtering being what it is ? The YouTube video is very helpful for increase blog traffic.. Thanks for very useful sharing..